THE VINTAGE LOOK WITH MODERN GEOMETRY The AC364 is the steel bicycle in the LOOK range that meets the same quality requirements we impose on our carbon frames. With a geometry inspired by the L96, the AC 364 is produced in TANGE infinity steel tubes with variable thickness and polished lugs for strength and great lightness. 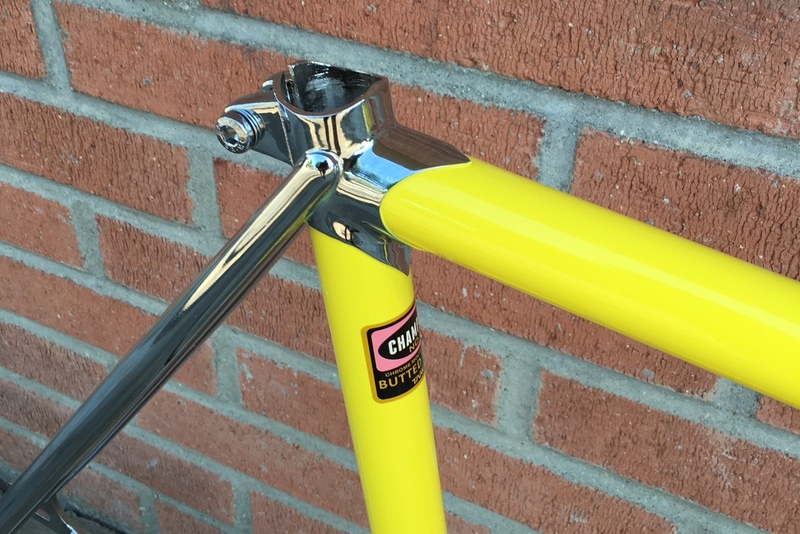 Its colours and chrome fork remind of the first LOOK track bicycles that will seduce both the track racers and the urban cyclists, passionate about beautiful objects and great mechanics for a fixed used. 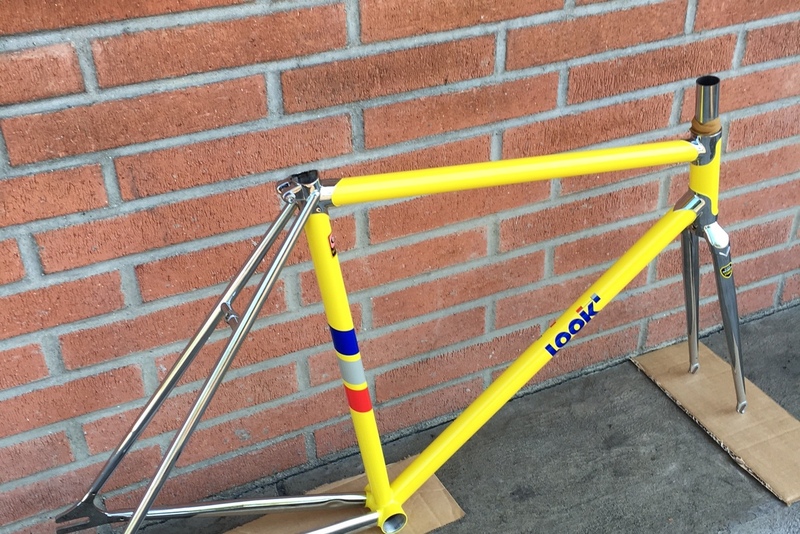 The LOOK AC 364 is the new fixed gear must-have. STEEL TYPE: INFINITY CRMO RANGE BY TANGE FORK : TANGE INFINITY STRAIGHT CRMO STEEL BOTTOM BRACKET: BSA - LENGTH 68 MM SEATPOST: TO FIT 27.2 MM SEATPOST SIZES: MEDIUM FRAME WEIGHT: 1,800g IN SIZE SMALL FORK WEIGHT: 390g TANGE INFINITY CRMO STEEL FRAME The AC 364 is built following best practice, welded by hand and using a range of tubes from the manufacturer known throughout the world as the benchmark: TANGE. INFINITY variable thickness (double-butted) tubes were chosen for their strength and their light weight with a view to track or more urban use (fixie). Frame robustness and stiffness are important for both activities. The tubes are assembled together using external polished lugs. 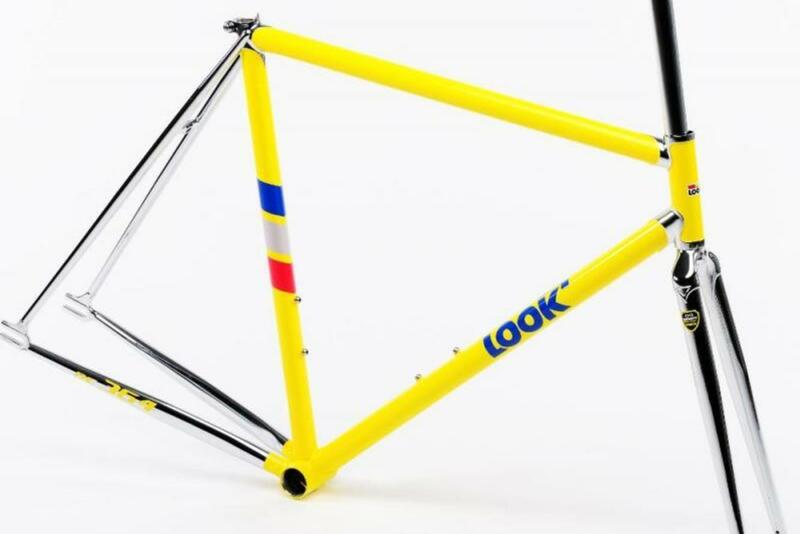 LOOK L96-INSPIRED TRACK GEOMETRY Although the manufacturing method and the overall appearance of the frame hark back somewhat to the past, the geometry in turn is up to date since it draws its inspiration directly for the latest Formula 1 of the track: the L96. This enables beginners to try their hand on the track with a proven geometry while staying within a reasonable budget. HERITAGE GRAPHICS The graphics on the AC 364 pick up on the colour schemes from LOOK frames of the nineties where yellow was the dominant colour. The LOOK markings of the period were taken directly from the brand’s iconic logo from which it reflects the colours. 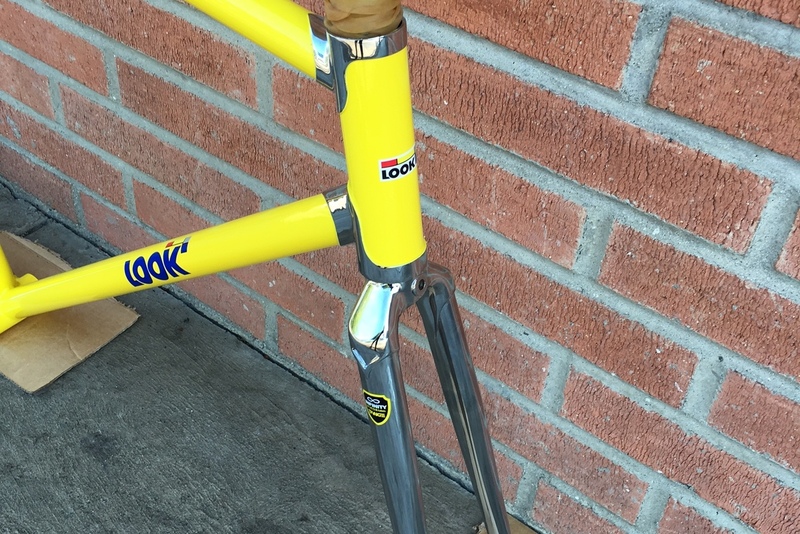 These graphics will suit track racers who are after a bike with the authentic “look” as well as urban riders who hanker after a stylish fixie. The AC 364 is an allusion to the numerous wins by LOOK on the track. 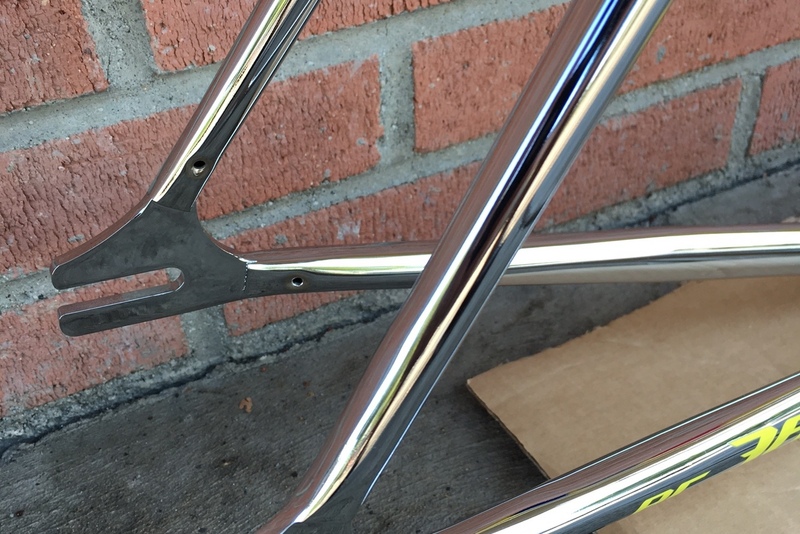 AC 364 GEOMETRY STRAIGHT CHROME-PLATED FORK The CrMo steel fork does not detract from the style of the frame. It is straight and fully chrome-plated. Like the frame, it features an external polished and chrome-plated crown.